Ian McKinley has hooked the conversion to the left of the posts. Trouble here as Monty Ioane breaches the defence. Spellbinding play by Dean Budd is finished off with a try. Silky skills by Benetton ends with a try for Monty Ioane. This is dangerous for the defence as Jayden Hayward bursts through to advance the Benetton attack. Ian McKinley adds the two points for Benetton. A gap opened in the defence and Monty Ioane took full advantage. Tommaso Benvenuti played a key part in that try. A wonderful passing move by Benetton is finished off by Monty Ioane. The defensive line has been broken as Juan Ignacio Brex goes through the gap. What a run here by Braam Steyn as they gets over the gainline!. 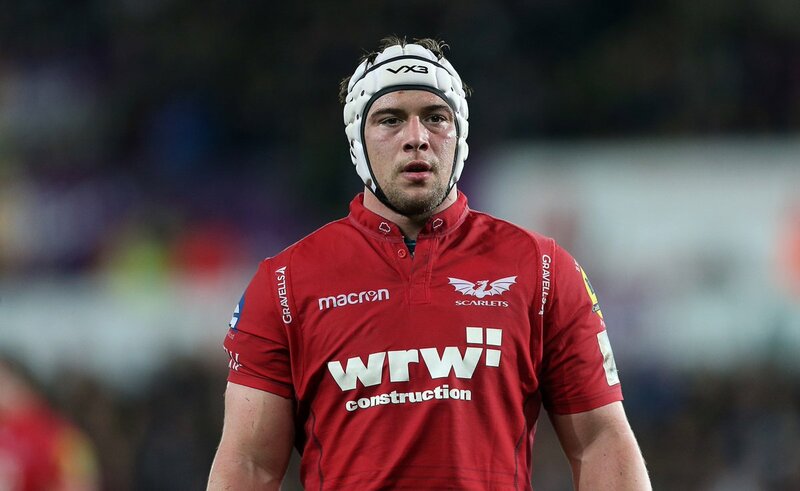 Josh Helps comes on for Scarlets. Tadhg Beirne leaves the field. Benetton decide to make a substitution, with Cherif Traore getting some game time. Benetton decide to make a substitution, with Tizano Pasquali being replaced. Scarlets make a substitution with Simon Gardiner coming on. Scarlets make a substitution with Werner Kruger coming off. Benetton sub Nicola Quaglio comes onto the field. Federico Zani departs for Benetton. Dan Jones leaves the field. Benetton decide to make a substitution, with Ian McKinley getting some game time. Benetton decide to make a substitution, with Tommaso Allan being replaced. Scarlets are only a few metres out, surely they must score! And they do with Gareth Davies touching down. Angelo Esposito (Benetton) is shown a yellow card. Benetton make a substitution with Marco Barbini coming on. Benetton make a substitution with Sebastian Negri coming off. Benetton sub Juan Ignacio Brex comes onto the field. Luca Morisi departs for Benetton. Tomas Baravalle comes on for Benetton. Luca Bigi leaves the field. Leigh Halfpenny makes no mistake with that conversion attempt. A stunning solo try from Gareth Davies. Gareth Davies makes the break as the defence re-enacts the parting of the red sea. That's a great try assist by Johnny McNicholl. Fabulous play by Scarlets has led to Johnny McNicholl being able to wriggle through a gap. A series of passes by Scarlets results in a try for Paul Asquith. Trouble here as Johnny McNicholl breaches the defence. Federico Zani (Benetton) is shown a yellow card. Leigh Halfpenny has kicked a conversion. Paul Asquith sets up the try. This is dangerous for the defence as Johnny McNicholl bursts through to advance the Scarlets attack. Great hands by Scarlets leads to a try for Johnny McNicholl. The defensive line has been broken as Johnny McNicholl goes through the gap. 77' Benetton with possession in Scarlets 22. The Scarlets win turnover. Kick downfield. 72' Asquith with a kick to the corner. We've lost a little momentum here in the last ten minute. Clock heading towards the 70 minute mark. @28Clive Benetton 0 Scarlets 31. 15 minutes to go. 57' Asquith with a kick to touch. Line out in Benetton's 22. Half an hour to play here at Benetton's Stadio Comunale Monigo. Score is Benetton 0 Scarlets 31. @ccurts2 North seating nearly full, South nearly full. Going to be an epic afternoon! It's not over yet. Big 40 minutes still to come. 33' @dinky_jones with a kick to the corner. Attacking line out with @KenOwens1088 to throw in. Lein i'r Scarlets yn 22ain Benetton. 31' Benetton with a knock on on the halfway line. Temperature dropping as the sun sets. Scarlets scrum. @moragkatie @one_mrs_k @VaughanVoyage Putting in a fantastic effort! 22' Scarlets line out in Benetton's half. "There's only one James Davies ..." ringing around the ground as he receives treatment. I'm sure they've got plenty more left in the tank! Penalty comes Scarlets' way as Benetton are penalised for holding on. We’ve arrived and we’re ready to go! Beautiful winters day at Stadio Monigo.